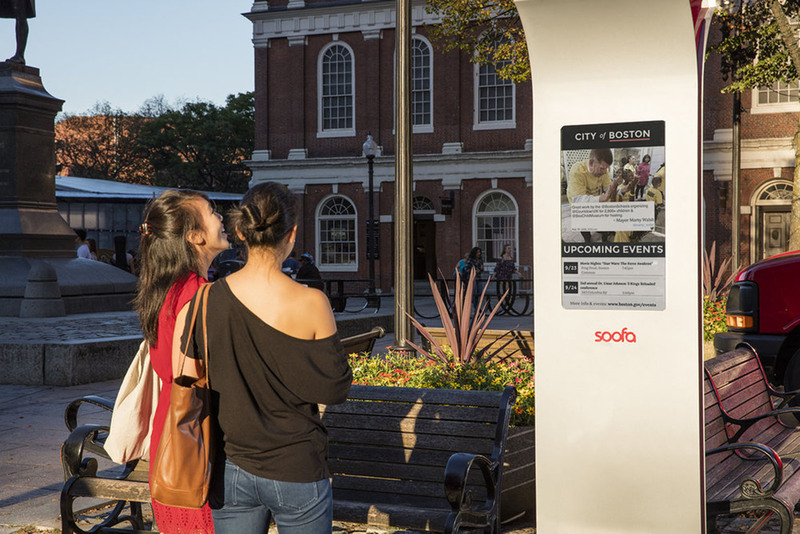 Boston just unveiled an innovative solar-powered sign with an e-paper display that provides real-time information on local events and city services. MIT Media Lab spinoff Soofa teamed up with Visionect to develop the plug-and-play solution, which can be installed practically anywhere with just four bolts. The Soofa sign uses the same technology as its predecessor, the solar-powered Soofa Bench charging station, . The Soofa Sign uses technology to bring real-time information to city dwellers. With its elegant design, energy-saving properties and light environmental footprint, the sign is a cinch to install – it doesn’t even need to be connected to the grid. The sign feature a super-efficient electronic paper display, and it’s powered by Visionect’s advanced signage technology, which seamlessly updates with real-time content. A solar cell provides all the energy the sign needs, and the display lights up so that it’s readable at night. The first Soofa Sign was installed at Boston’s pedestrian epicenter, Samuel Adams Park, and is expected to launch soon in Cambridge and select cities across the county. 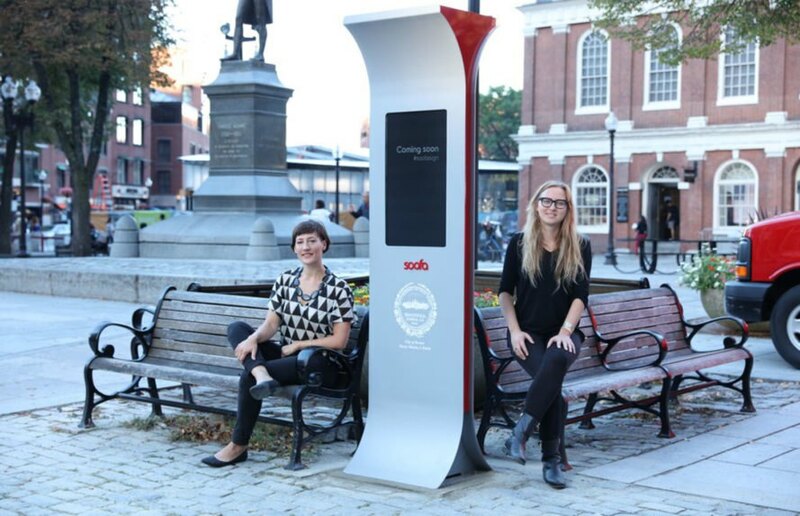 The Soofa Sign uses technology to bring real-time information to city dwellers. With its elegant design, energy-saving properties and light environmental footprint, the sign is a cinch to install - it doesn't even need to be connected to the grid. The sign feature a super-efficient electronic paper display, and it's powered by Visionect’s advanced signage technology, which seamlessly updates with real-time content. A solar cell provides all the energy the sign needs, and the display lights up so that it's readable at night. The first Soofa Sign was installed at Boston’s pedestrian epicenter, Samuel Adams Park, and is expected to launch soon in Cambridge and select cities across the county. The Soofa Sign uses technology to bring real-time information to city dwellers. With its elegant design, energy-saving properties and light environmental footprint, the sign is a cinch to install - it doesn't even need to be connected to the grid.